There are 6 Memory Care Facilities in the Jackson area. To help you with your search, browse the 4 reviews below for memory care facilities in Jackson. Better rated regions include Ridgeland with an average rating of 4.3 out of 5 stars. Jackson, the capital and most populous city in Mississippi, is home to a number of government, non-profit and health organizations that provide various forms of support to the state's 54,000 citizens diagnosed with Alzheimer’s disease, as well as their families and caregivers. Its surrounding area has several memory care facilities, particularly in Ridgeland. Facilities offering memory care in Jackson and the rest of the Hospitality State are called Alzheimer’s disease/dementia (A/D) care units. 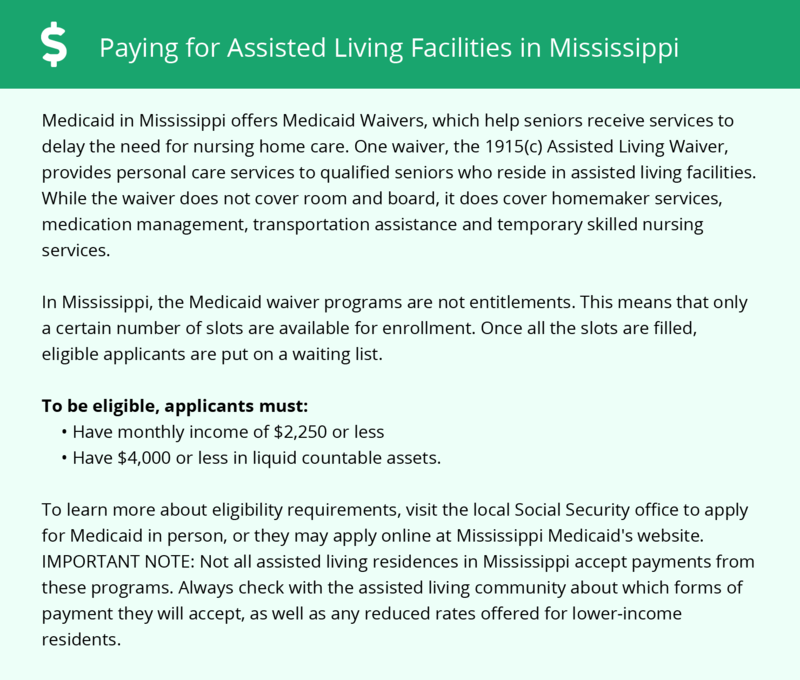 Such facilities with A/D care units include nursing homes and assisted living personal care homes, and they are regulated by the Mississippi State Department of Health, Division of Health Facilities Licensure and Certification. The relatively comfortable climate in Jackson is characterized by mild winters with an average low of 35 degrees Fahrenheit in January, a high amount of rainfall and hot summers with an average high of 92 degrees in July. Loved ones should consider memory care facilities that provide seniors with extra precautionary care during the summer heat and wet seasons. Seniors with respiratory health concerns can live comfortably in Jackson as the Jackson-Vicksburg-Brookhaven area is one of the cleanest metropolitan areas in the country in terms of air quality, as ranked by the American Lung Association. All forms of retirement income including social security, pensions, IRA and 401(k) incomes are tax-free in the state of Mississippi, and Jackson’s overall cost of living is 11 percent lower than the national average. Jackson is home to world-class medical facilities including those specializing in brain health and dementia care such as the University of Mississippi Medical Center’s Memory Impairment and Neurodegenerative Dementia (MIND) Center Clinic, Merit Health Central Neurology Department, Baptist Medical Center Neuroscience Clinic and St. Dominic Hospital Neuroscience Center in the event of medical emergencies or illness. Memory Care costs in Jackson start around $0 per month on average, while the nationwide average cost of memory care is $4,799 per month. To see a list of free memory care resources in Jackson, please visit our Assisted Living in Mississippi page. 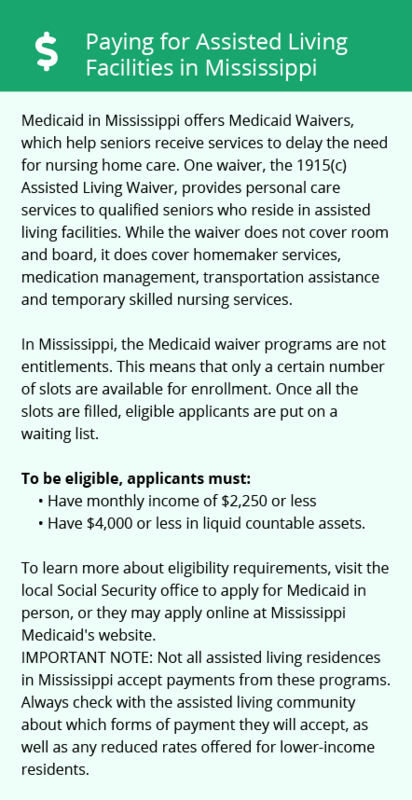 Jackson-area assisted living communities must adhere to the comprehensive set of state laws and regulations that all assisted living communities in Mississippi are required to follow. Visit our Memory Care in Mississippi page for more information about these laws.